Here are the Top 10 Snowmobile Stories of 2015, all written by SAM members for your reading and riding pleasure. It’s a mix of products, experiences, opinions, humor and fun. It’s also an invitation for you to send a story of your own to sledmass in 2016. Give it a try. Jim Tucker’s product testing always ranks high but his ski tests are through the roof, getting hits from all over the continent. Read the links to his other ski reviews for the full experience. 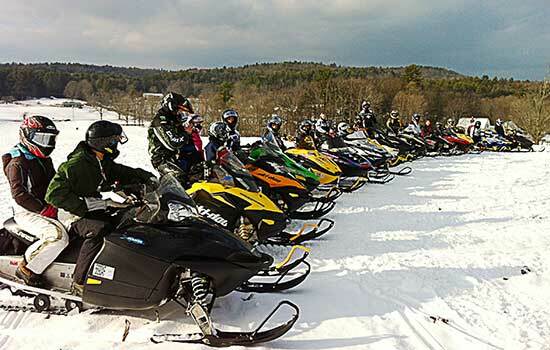 Will This Be The Future of Snowmobiling? Can’t go wrong with a click-bait photo of John Candy, but Mark Kenyon’s story is what hit home and launched it viral. The page, torn from our magazine, was seen hanging on a bulletin board in a popular NY sled shop. Apparently we were all on the trail when Google announced the sled in 2010, because no one seemed to recall the whacky snowmobile that Google added to their Street View fleet. This is another popular search term that lands nation-wide traffic at sledmass, and in the arms of Randy Toth. Always valuable, well written and to the point. The polls get tons of hits but this one had legs and was clicked and clicked and clicked. There were many voyeurs, as not everyone who visited actually voted. I’d tell you how many miles but you might as well click yourself. SAM’s vintage registration legislation finally passed, thanks to the efforts the vintage and legislative committee. Now everyone wants to know how to get their iron dog registered. If you want to ride the best trails in the east, eat like French royalty and get all snowmobile euphoric, go ride in Quebec. John Ruffo’s touching story about his grandfather and the passing of the snowmobile torch was from the heart and entertaining. The vintage crowd loved it. Gerry Balchuinas wrote this many years ago, and part one was posted online in 2011. For reasons unknown, part two was never posted until 2015. Another John Candy moment?